It has finally stopped raining for the moment and although it is slightly chilly, it finally feels like spring. As soon as the weather gets like this, I feel the itch to plant. I have two large planters on my front porch that I do up every year. For inspiration and my plants, I go to Victoria Gardens in Rosendale, NY. 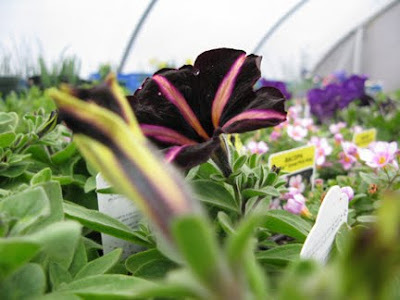 This nursery and gift shop has the best selection in the area for unusual perennials, annuals, bushes, trees, etc. The nursery is situated on a rock outcropping that sets a natural stage for all the beautiful plant vignettes they set up. I could easily spend hours hanging out and looking at everything they have. Luckily, I have a great friend who works there and points me in the focused direction of what I want. My plant knowledge is limited and I base all my decisions on aesthetics. Being able to bounce questions off the friendly and knowledgable staff is a huge help. I have never been steered in the wrong direction. Every year, I get tons of compliments on my planters. In addition to the nursery, they also have a landscape division and are available for on-site consultations. 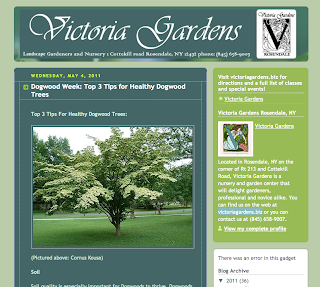 One of the best things Victoria Gardens offers is their blog, which is written by Kerry McQuaide, The Shop At Victoria Gardens. Besides the photos being stunning and inspiring all year long, the blog offers a wealth of knowledge. It's like reading a high end gardening magazine. I have it book marked and there is a link to it from my blog. It's a definite must read for anyone who loves gardening. This past week, I went and began to pick out my flowers. Its a little early to plant, but I just couldn't help myself. Pictured above is the beginning of this years planters. I will need to go back to Victoria Gardens to pick out a few more plants to fill the empty spots. I will post some pictures in the middle of summer, when everything fills out and looks the best. 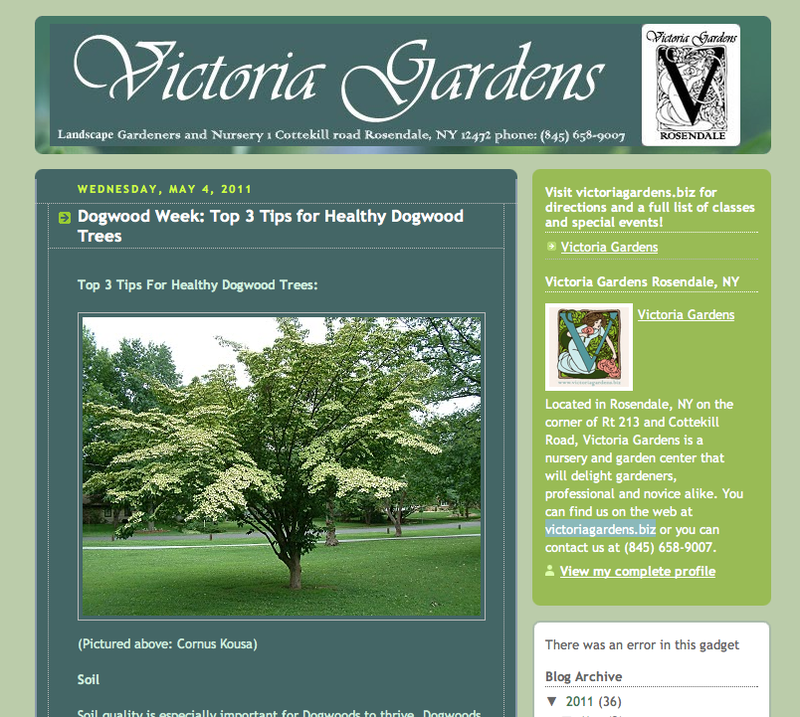 If you are in the area, I highly recommend visiting Victoria Gardens at 1 Cottekill Rd., Rosendale, NY 12472, 845-658-9007. 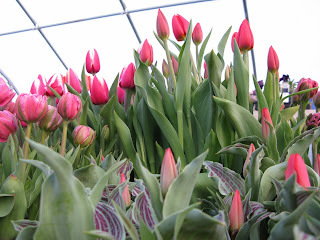 If you live too far away, check out the The Shop At Victoria Gardens blog.